The red blossoms in the first photo are standouts amongst the green. i love those hidden stairs! This looks like a perfect place to go when you are craving a little tropical atmosphere. 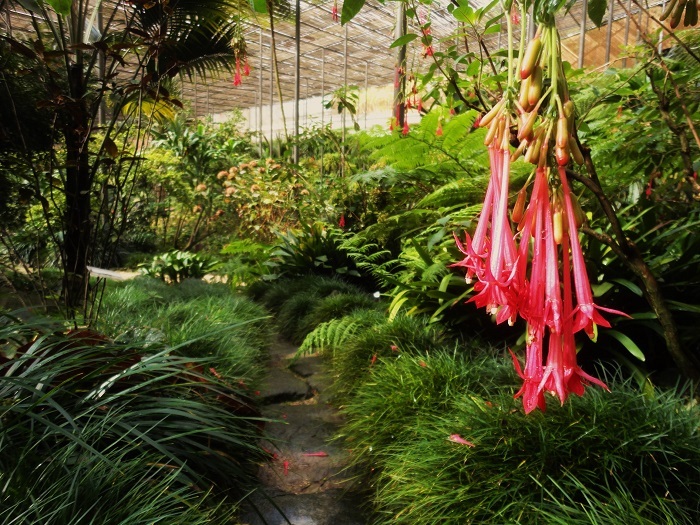 I love jungles so long as they are in greenhouses! :) This is a beautiful place, Jose, and that's one glorious flower! Ah, I would love to walk in that jungle, Jose!! So much rich, beautiful green and a glorious flower it is indeed!! I hope you're enjoying a great week!! Thanks, as always, for sharing the beauty of your world!! 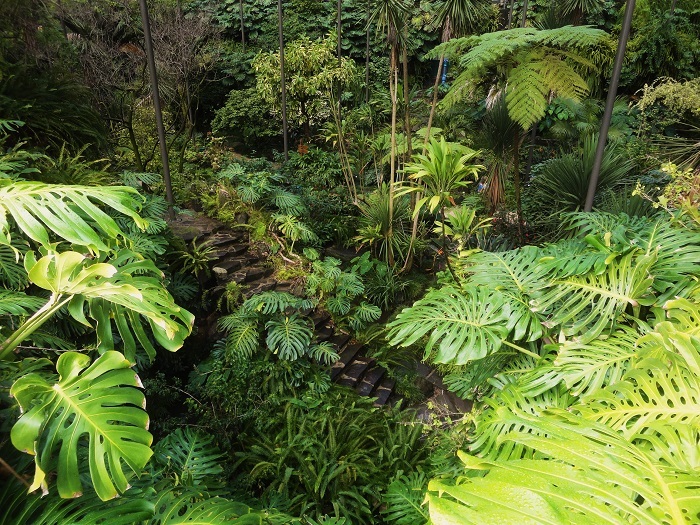 Lovely to see the 'almost' hidden paths and steps, and oh my the splash of colour in the first shot is fabulouso! 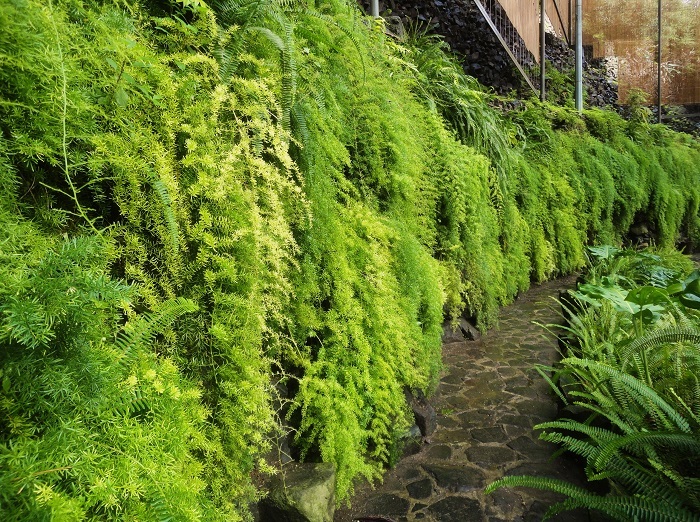 The wall of fern is very inviting. Great! Jungle has so many different aspects. The red flowers are amazing, beautiful! Absolutely beautiful! I'd love to be strolling through there right now. It's so gray here today. These photographs seem so lush I can almost feel the humidity. I'll bet you love this place, Jose. I would too!